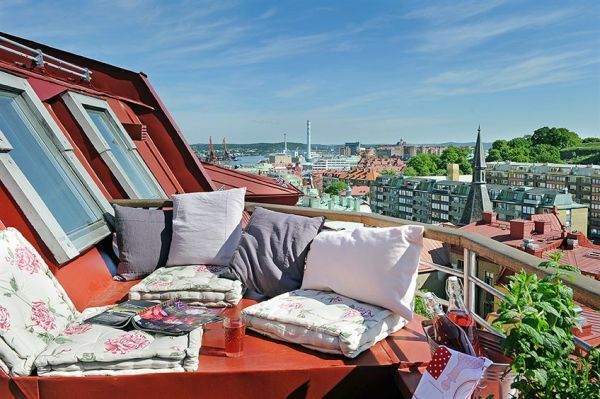 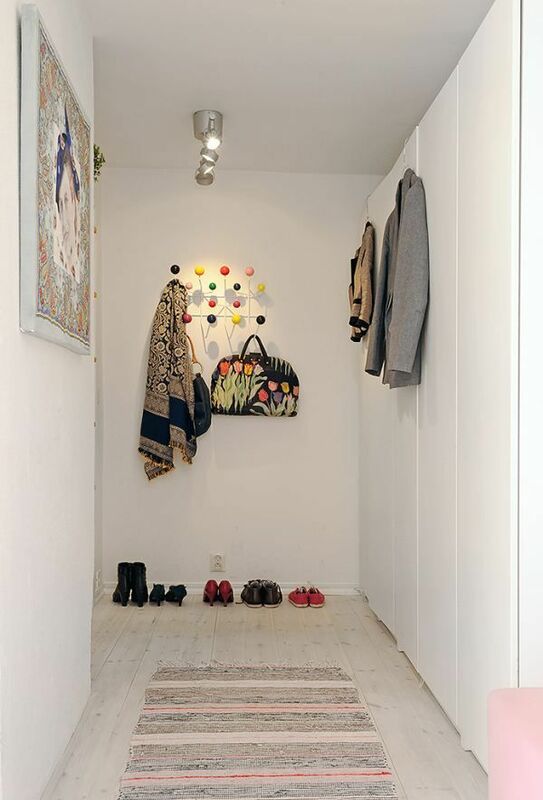 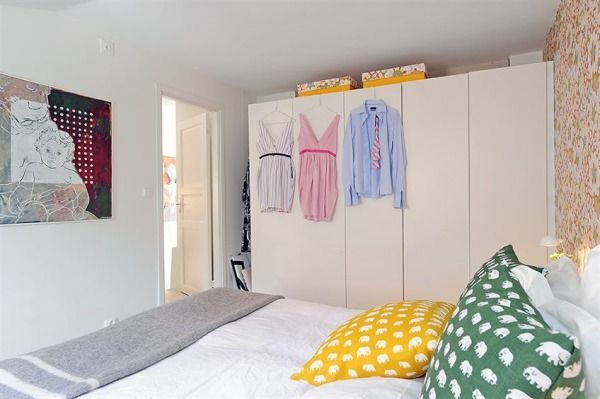 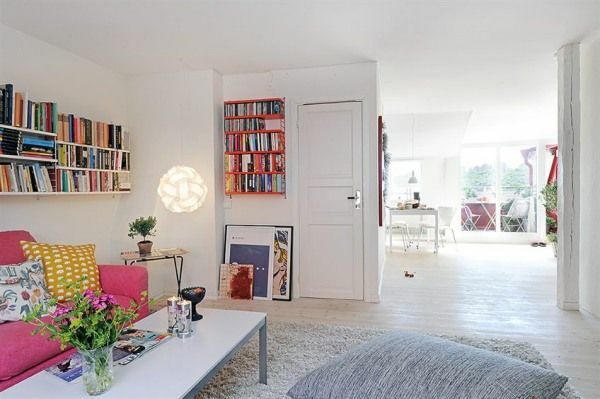 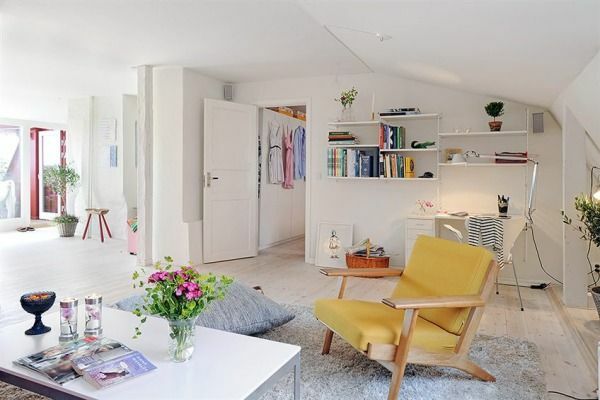 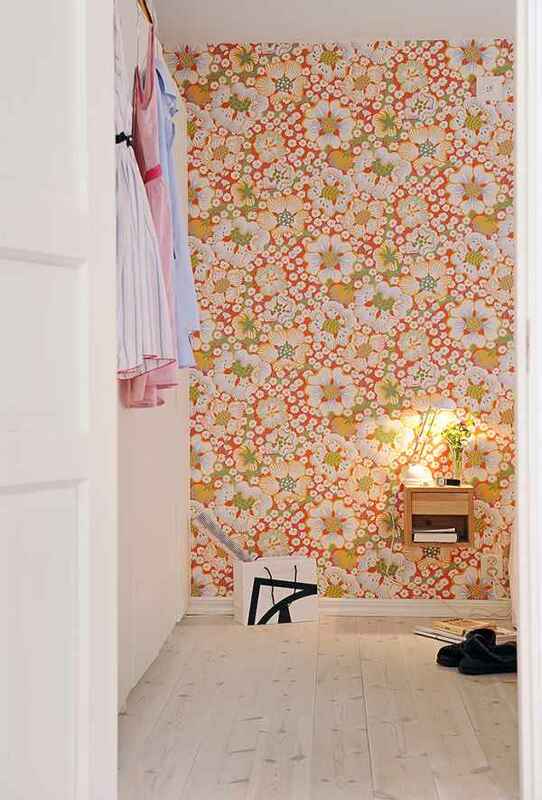 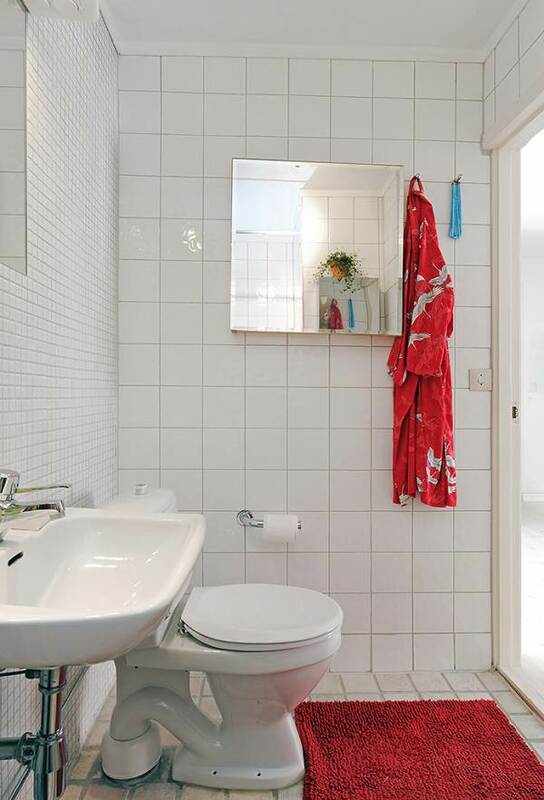 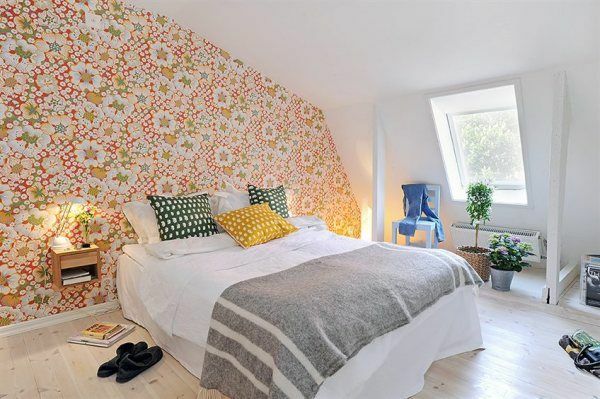 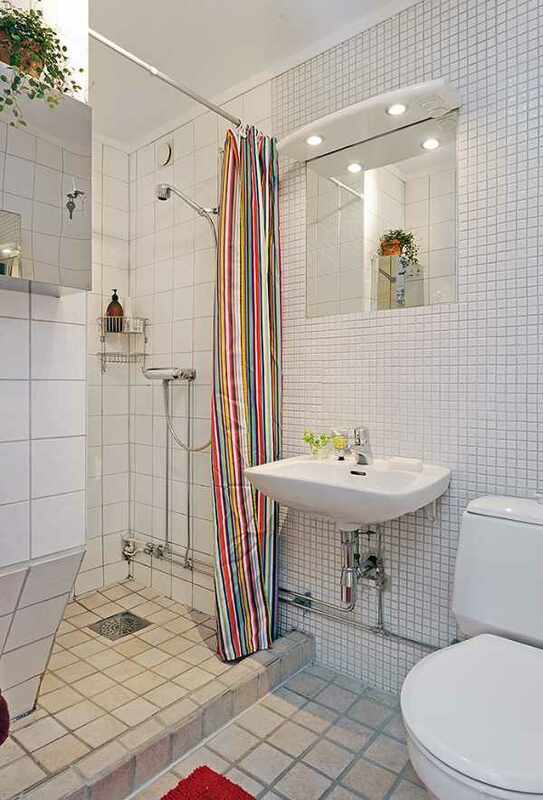 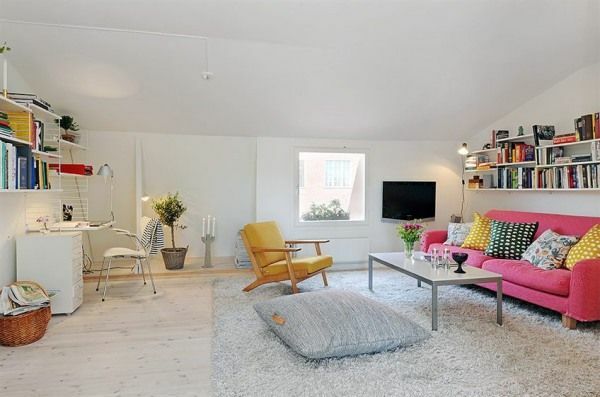 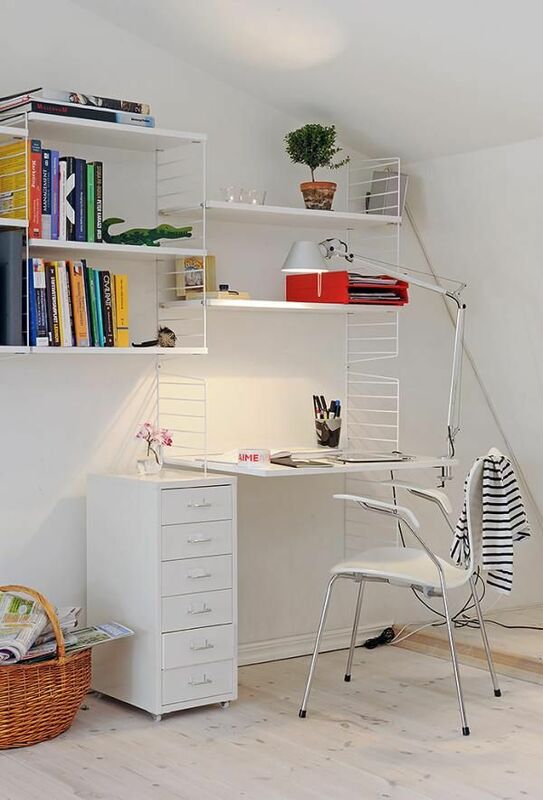 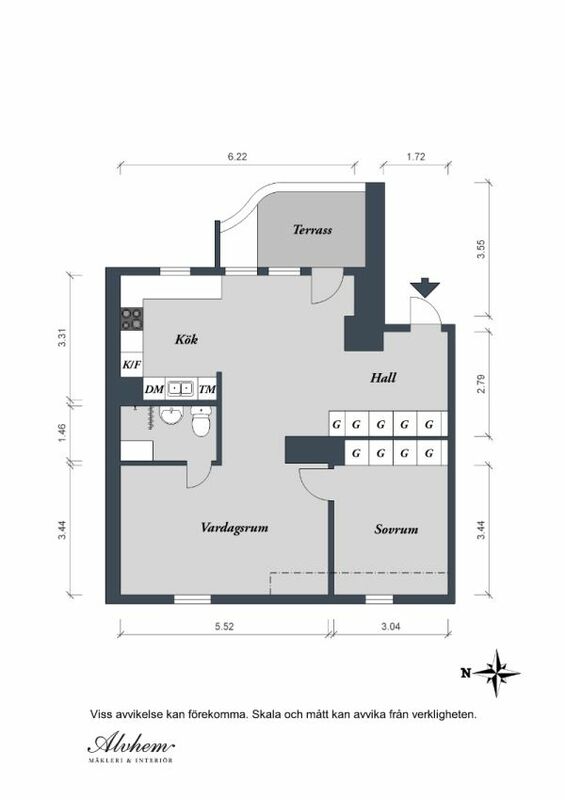 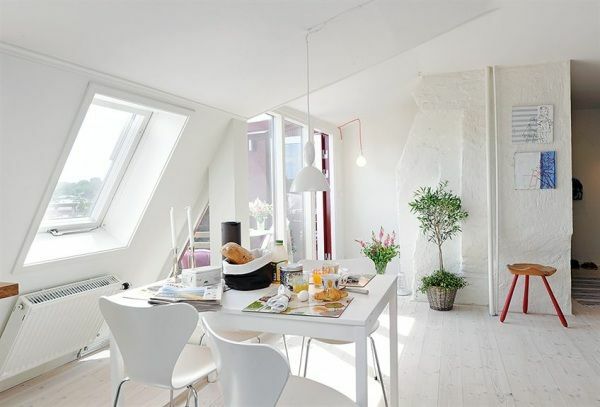 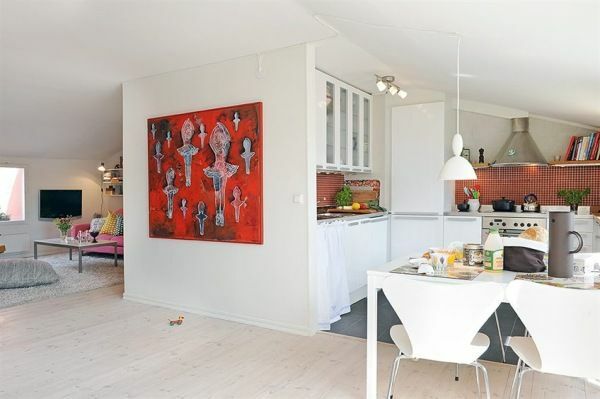 For today we would like to show you a beautiful small apartment (61 sqare meters) located in Sweden. 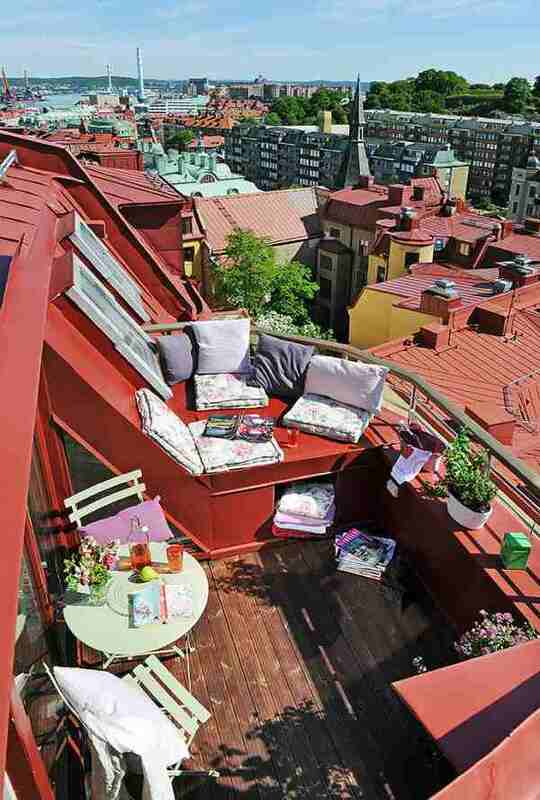 You are looking at a crib that is perfect for socializing but also for meditation in solitude. 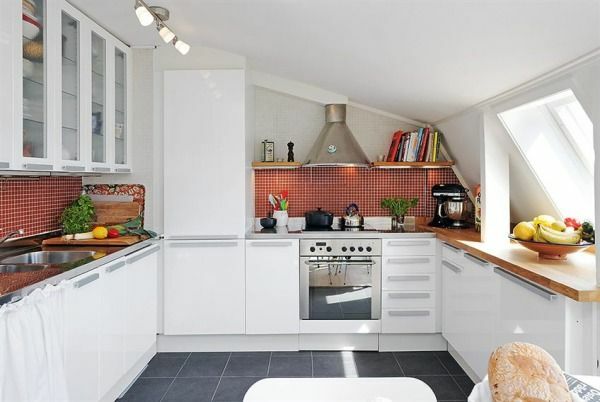 With wide and spacious interiors, this home looks very warm and inviting. 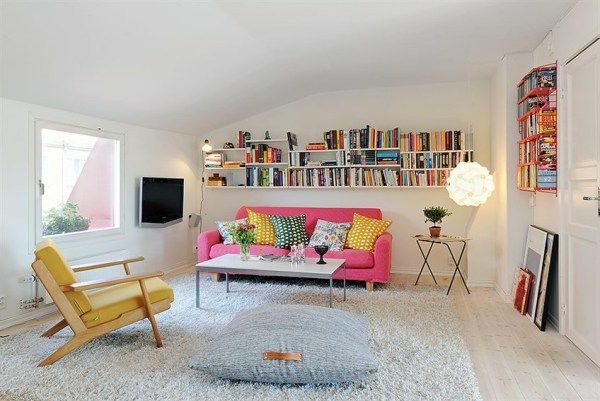 The color palette is cheerful, yet subtle and tasteful. 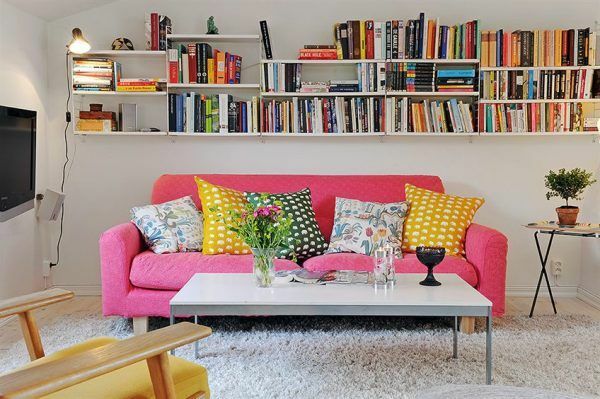 A large living room greets the guests with its homey feel: pillows on the floor, plenty of books to chose from. 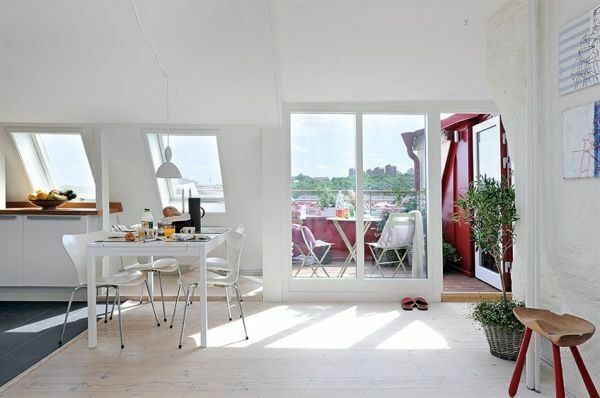 Due to the presence of many glazed windows, the boundary between inside and outside is minimal. 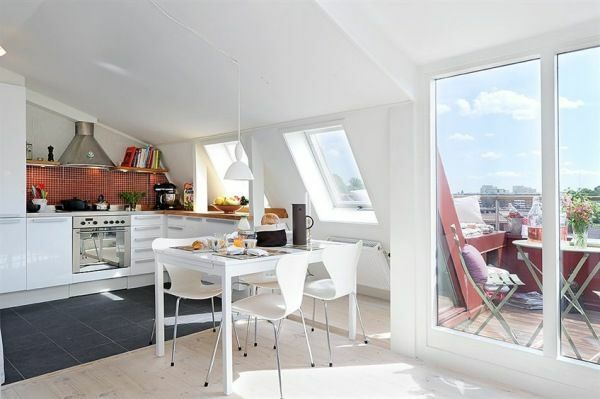 I guess you could say that the main "attraction" of this small apartment is its stunning looking terrace, perfect for having friends over.